I’ve spent the last week working in Austin, Texas. My second visit this year. I went on another photowalk yesterday and had to keep diving inside to avoid the thunderstorms. After about fifty straight days of temperatures of 100F I think everyone here is a little thankful for the rain. 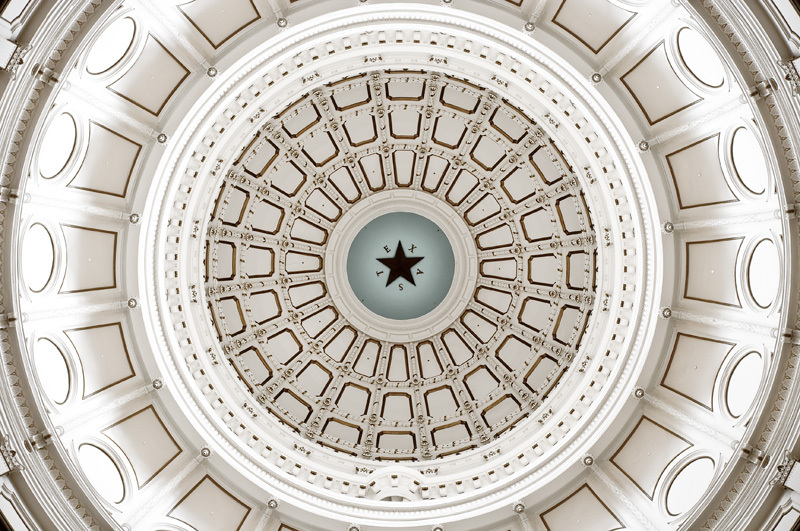 This is the ceiling of The Texas State Capitol building that’s right here. I took a photo of the outside previously, but this time I spent longer strolling around inside. Everyone takes this shot, although I did do it with the camera lying on the floor and firing from a remote, which drew some stares.